Events you wouldn't want to miss! Orléans plays host to two major events: the Fête des Duits (literally, the Festival of Dykes) in August and the Festival de Loire in September. The first, the Fête des Duits, combines nature and art on the Loire dykes, which are stone levees that are sometimes submerged in water. Here, in the middle of the royal river, artists from a whole range of backgrounds come together for the event. 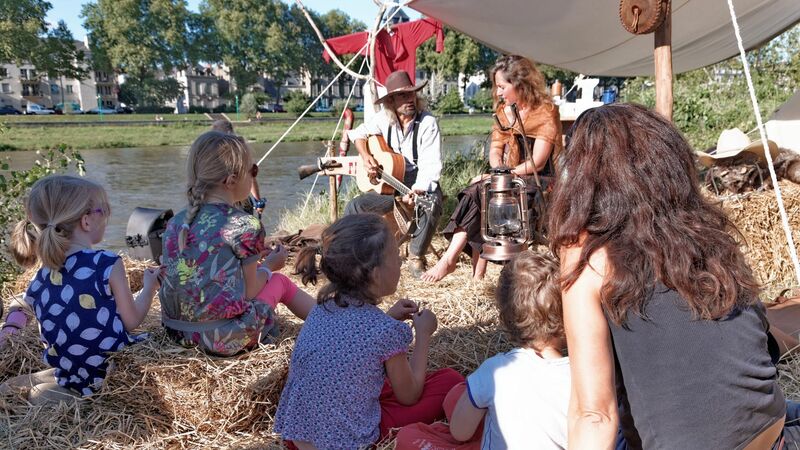 Join them on foot (where the water is shallow) or in a traditional boat and attend a variety of performances and shows covering theatre, music, dance, architecture and cinema. Also waiting to be discovered is "Le point de vue" (the viewpoint), which is the heart of the celebration. This convivial location contains a bar, fast food catering, a stage, cinema screen, music and more. 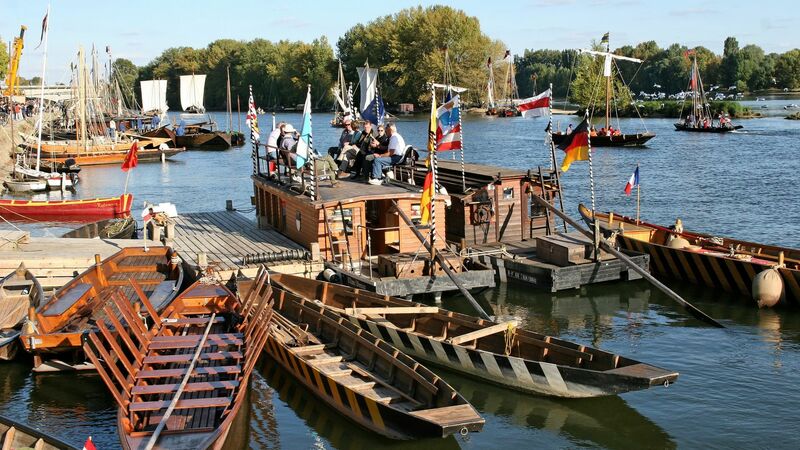 Every other year in September, Orléans revives its former fame as a port city by hosting the Festival de Loire, which is the largest river boating gathering in Europe, and is attended by more than 600 boatsmen! Over the course of 5 days the recently renovated waterfront comes alive with numerous events and activities on the subject of inland water shipping. Board a boat and, from the water, be enthralled by the grand nighttime shows, while on solid ground the quays bustle with guinguettes cafes, street performances, gourmet tastings, concerts and artistic craftsmen. 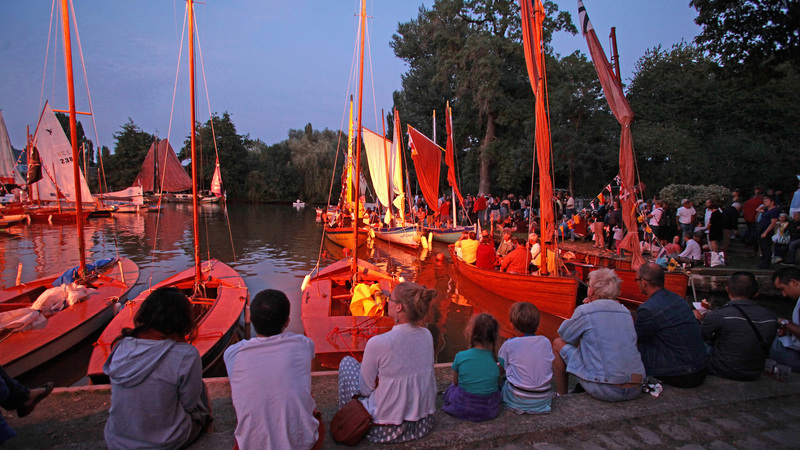 Every year at the end of summer Les Rendez-vous de l’Erdre is held. This one-of-a-kind (and free!) popular jazz festival combines music and leisure... fine French leisure, even, of which Nantes is one of the birth places. The event is attended by more than 200 pleasure boats, making Les Rendez-vous de l’Erdre one of the largest sailing gatherings in France. 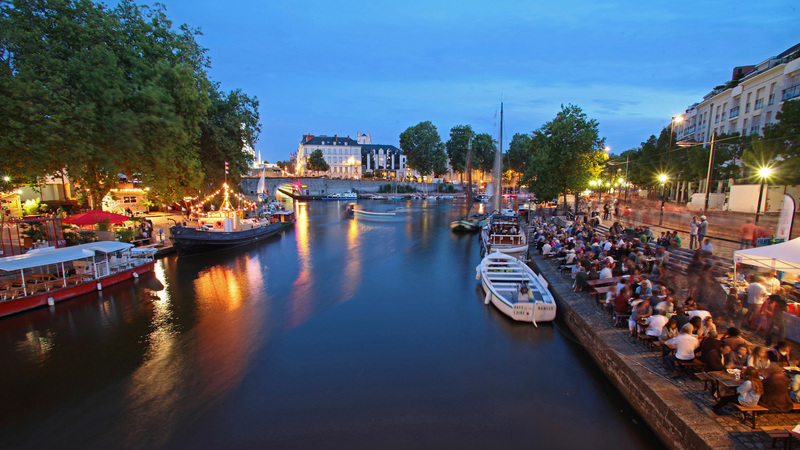 Along the banks of the Erdre, from Nort-sur-Erdre to Nantes (28 km), you will enjoy 4 days animated by boating and jazz. Attend more than 100 concerts on the river banks and quays of Nantes, Carquefou, La Chapelle-sur-Erdre, Sucé-sur-Erdre, Petit Mars and Nort-sur-Erdre. There are also impressive shows to admire from a variety of viewpoints or directly from the water aboard a Toue (a traditional Loire boat), which leaves from Nantes. The boats are presented by keen enthusiasts and are often small, ancient or rare, and some are even listed as historic monuments historiques or Boats of heritage interest. Magnificent!